How often should you clean your bathroom? 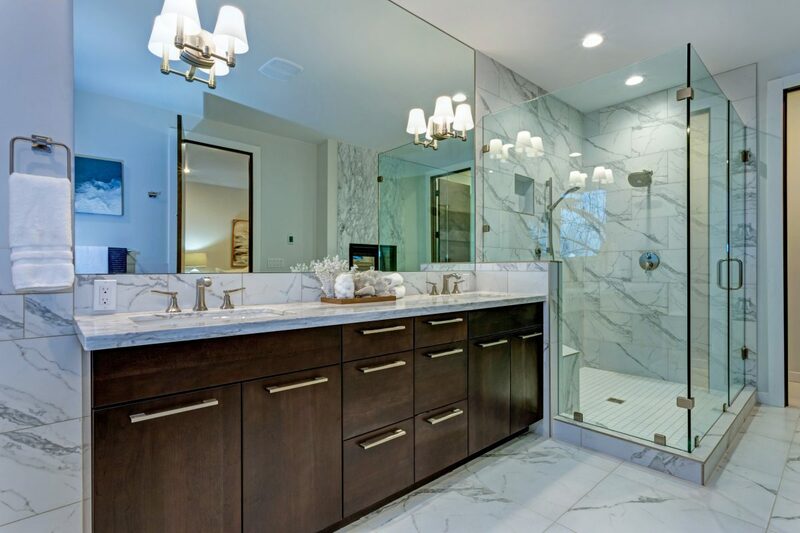 Most homeowners aren’t sure if simply tidying up on a daily basis is enough, or if their bathrooms require detailed attention on a more frequent basis. The thing is, there isn’t just one right answer. Read on to shed some light on a sometimes dark and dingy topic. Not all bathrooms are created equal! If you live alone, you obviously won’t need to clean your bathroom as often as someone who has a family of 5. While not all bathrooms are equal, there are many things bathrooms have in common. As you read this list, keep in mind that the more people who use the bathroom, the more frequent the cleanings it will require. Toilets should be wiped down daily and given a good deep scrubbing at least once per week. Sinks need daily cleaning. Spraying with an antibacterial spray and wiping them down keeps gunk from building up. At least once every week, you should ensure that the drain is clear of any debris to prevent clogs. Walk in showers need to be wiped clean of soapy residue after each use. Likewise, tubs should be rinsed clean after each use to prevent soap scum buildup. Shower curtains require washing every one to two weeks, depending on frequency of use. When you’re purchasing a new shower curtain, check to see if you can launder it yourself for ease of cleaning. Daily maintenance is not the same as a deep cleaning! Keeping your bathroom tidy on a daily basis is a great habit to build. However, you will still need to give your bathrooms a good deep cleaning on a weekly and monthly basis. Deep cleaning means going further than just a quick wipe down with an antibacterial cloth. Here are some ways you can schedule a service with us to ensure your bathroom remains sparkling clean. Grout in between floor, shower and tub tiles can get grimy fast. 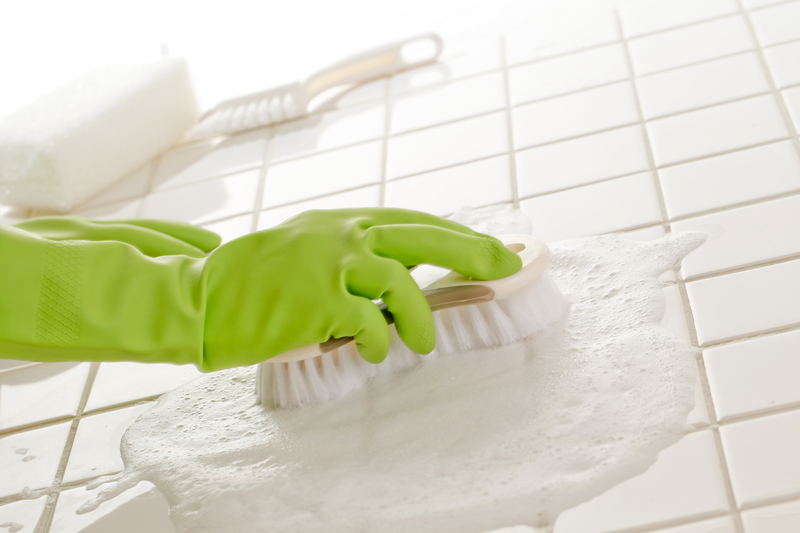 Mopping on a weekly basis can ensure that floor tiles stay clean, but the grout in your tubs, showers, and bathroom floors may need a little more TLC. Our professional staff of friendly housekeepers are able to clean in between the tiles, not just the tiles themselves. Sometimes, you may need a deeper cleaning, and that’s where our skilled technicians can help! Luckily, we offer professional grout cleaning services anywhere you’ve got tile. This way, you can be sure that your bathrooms are not just clean, they are sanitized. Dust isn’t just in your living room. If you live with a person suffering from asthma or allergies, dusting on a weekly basis is imperative. But even if you don’t live with a person suffering from allergies or asthma, dusting needs to be regular. Dust can find its way into every nook and cranny in your house, even your bathroom. Combine dust with steam from a hot shower, and you’ve got a real mess on your hands. Luckily, our housekeepers are here to help you be sure that every corner of your bathroom is clean and dust-free. Toilets often take the blame for a dirty bathroom, but sinks are the major culprit. 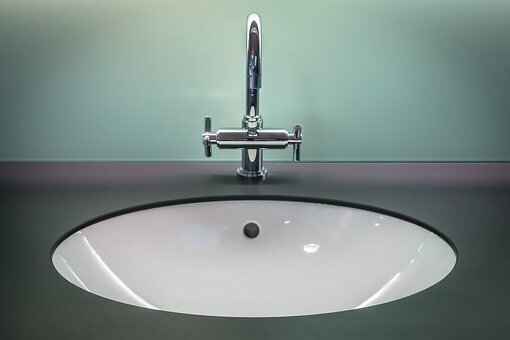 Most people don’t clean their bathroom sinks half as often as they clean their toilets. This can lead to loads of germs and bacteria spreading throughout your bathroom. Consequently, these germs and bacteria can make their way into the rest of your home. Weekly housekeeping services ensure that your sinks get the attention to detail that they crave! Cleaning your bathroom doesn’t have to drive you crazy. Let’s face it, in today’s world, we don’t all have the time required to devote deep cleanings to our bathrooms. Plus, who wants to clean their bathroom in their free time? Thankfully, we offer services to help you keep your free time free for things you actually want to do. We offer housekeeping services for all budgets and needs, including recurring weekly, biweekly, and monthly services. With regularly scheduled housekeeping, you have one less thing to worry about. Contact us today and ask about setting up a recurring housekeeping service!